Estate sales, online auctions and auctions are now in the national spotlight in print and on the internet. Liquidations have become big business and which way you choose to sell your contents is now presenting sellers with decisions as to what will best work for their needs. Many sellers with entire house contents choose an estate sale. The contents to be sold remain on site, with sorting, staging, pricing and selling all done within the home. Items have specific prices at the start of the sale and you have the ability to personally examine the items. The dates of the estate sale are fixed and hours set. Estate Sale companies advertise the estate sales with photos and the description on national estate sale advertising websites. The sale takes place within a two to four day time frame. It is usually impossible to live in the property once the set-up of the estate sale has started. As sales are made the articles are removed from the home. At the conclusion of the sale the commission or fee charged by the estate sale company will be deducted from the gross proceeds and you will receive the net amount from the sales within one to two weeks usually. 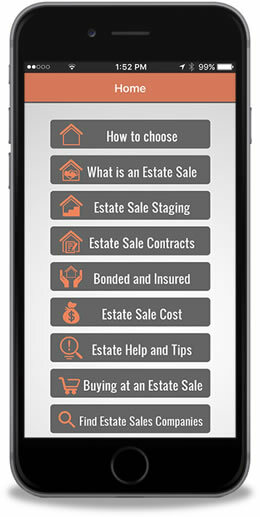 Each estate sale company has their own payout time frame. An online auction is conducted via the internet. 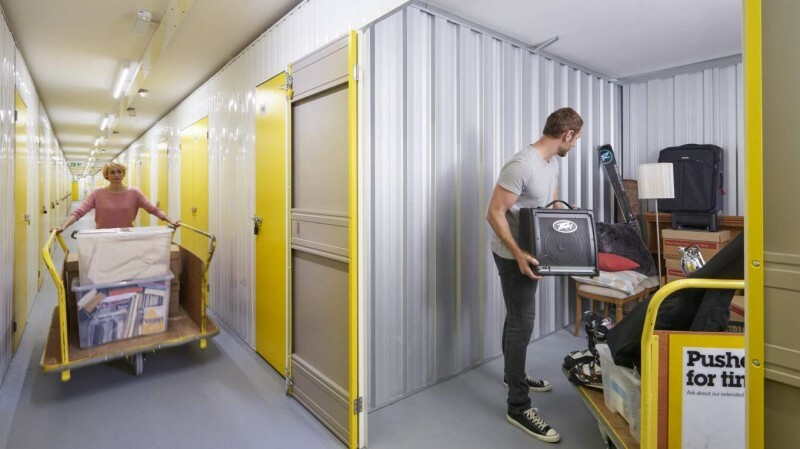 They don’t usually contain the entire contents of a home. Most online auctions are suited for a limited number of items. They are removed from the property, photographed, posted online and the auction is run for a specific number of days. A decision is made by the seller and the company conducting the auction if any items will have a reserve (a minimum sale price) before the item is put up for sale on the internet. Most companies will charge a commission on the gross sales and pay you the net proceeds when all the contents have either sold or at a specified time (weekly, monthly, etc). 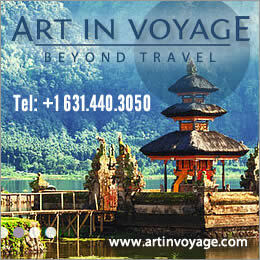 They may also charge the buyer a commission or buyers premium. 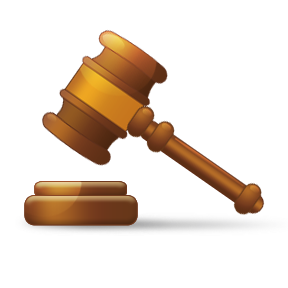 An online auction provides an internet audience and the major estate sale listing websites provide for online auction advertising for the items to be sold. The one major difference from an estate sale is you cannot handle the item. You see photographs and descriptions only. Estate Sales News visited with Barbara Stevens Jersey of Wonder Women Estate Sales and Bob Howe of Epic Auctions and Estate Sales in Portland, Michigan. They are teaming up to sell an estate of a well known sportsman with much taxidermy (170 or so mounts) that was a children’s museum and general househould. Estate Sales New also has a video that will be on the Front Page this Wednesday, October 1st of the upcoming sale and auction scheduled for this Friday and Saturday. The video of the household estate sale and mounts to be auction will be on the Front Page on Wednesday October 1st. Twenty plus years ago most rural areas in the United States used the auction method of selling off the contents of a deceased persons’ estate. It was held on site and would last one or two days. Most auctioneers back then did not charge a buyer premium (only the seller paid a commission to the auctioneer) and most had no reserve. Only the large exclusive auction houses like Sotheby’s, Christie’s, Bonham, and Skinner held high end and speciality auctions. 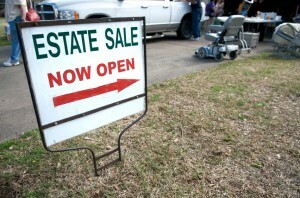 Today let’s look at the small auction companies and estate sale companies. 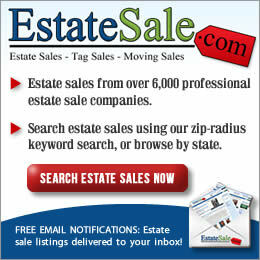 Many estate sale companies have branched out into the auction business as well. They have done this for several reasons, particularly when an onsite estate sale cannot be held, there is too little in the estate to sell at an estate sale, and they can combine multiple small estates into a one day or evening event. In many cases this also provides them the ability to charge not only the seller a commission, but a buyer premium as well (a set percentage of the gross sale of the item purchased). The opportunity to possibly attract a larger audience is another factor. There are estate sale companies that have also branched out to conduct online auctions. They do not require a brick and mortar building to conduct the auction, merely the space to store the items for sale and eventual shipment. This has become an alternative when some items fail to sell at an estate sale for various reasons and they are looking for a broader audience. 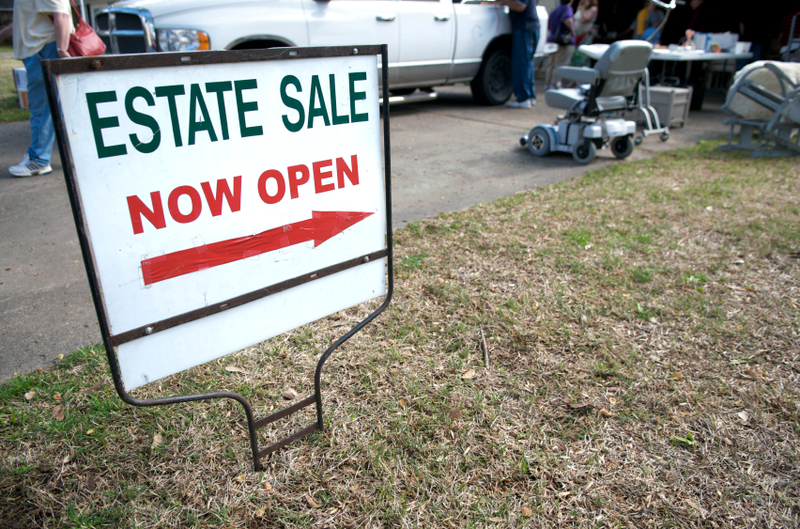 There are still more estate sale companies than auction companies and online auctions. With the rise in unemployment several years ago and the internet presence of estate sale listing sites this has greatly increased the number of estate sale liquidators. Many estate sale listing sites started off listing only estate sales and now include auctions and online auctions as all these businesses increase. With the estate sale process one of the prime differences is that almost all take place at the property and no commission is charged to the buyer. The estate sale company has a fiduciary relationship with the seller. They work solely for them. When hired they are given access to the property to stage and price the items to be sold, and conduct a two, three or four day sale. Pricing is done before the sale. 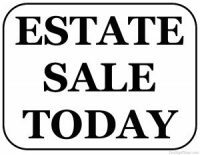 Although bids may be excepted on some items the majority of what is at the estate sale is sold based on prices determined by the estate sale company. The seller and estate sale company will have a contract that details the work to be done by the liquidator and requirements of the seller including whether the estate sale liquidator will leave the property “broom cleaned” (all unsold items removed). In most cases the only items for sale are those of the “seller(s)”. Like an auction company they have staff to assist before and during the sale. Some hold to the concept that expensive items cannot be sold at an estate sale, however, your editor knows of several estate sale companies from the east coast to the west coast that have had sales into 6 figures and sold items in 6 figures. Many factors are involved including the area and advertising. 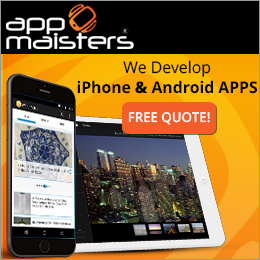 Both estate sale companies and auctions market extensively. The choice becomes what will work best in your region. Both methods can provide successful financial results, however, it is important to review the auction or estate sale companies you are considering, do your due diligence and choose the company that you feel will work best “with” you. At the 2014 Estate Sale Conference in Memphis there was a room devoted to vendors that could assist estate liquidators and one of them was Lofty.com. 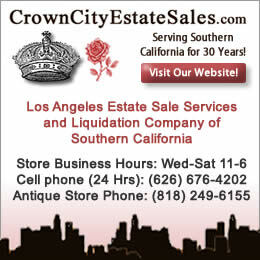 They offer a unique service that can be used by estate sale companies and others. Estate Sales News is featuring this guest article on this new concept and company as an item of interest. Lofty.com a new online resource, provides a free virtual evaluation service and sales venue that can assist estate liquidators. Founded in 2012 by Harvard Business School graduate Mark Lurie, Lofty is an expert-reviewed marketplace for Fine and Decorative Art, Antiques and Collectibles that provides free evaluations based on digital photos. Every item on the site has been identified and virtually evaluated by a member of Lofty’s Expert Network, which includes auction house specialists, qualified appraisers, and experienced dealers. Mark was inspired to develop Lofty when a friend asked for help selling a few prints and some 19th century silver she’d inherited, and he realized how difficult it was to sell potentially valuable items online with confidence and ease. eBay was the obvious option, but he didn’t know how to accurately describe the items or where to set prices. The pieces in question weren’t valuable enough to take to a large auction house, as the cost and effort involved in shipping and preparing them for sale likely would not have been worth the prices they would have realized. Prompted by this apparent gap in the art market, Mark set out to create a site which would allow anyone with access to the internet to confidently sell their art and antiques online. You can visit their website, www.Lofty.com.